Hey everyone I just had a general question that occured to me. I agree with a lot of scholars that GMark has an Adoptionist christology, i.e. Jesus is a normal man who is possessed by the spirit of christ at his baptism. This got me thinking about the scene of the spirit departing his body at the moment of death on the cross, followed by the empty tomb and implied resurrection appearance in Galilee. If the spirit of Christ left the body of Jesus as he died on the cross then why would his body disappear from the tomb later before the resurrection appearances? I know if you have the resurrected Jesus appear as a phantom then go into a docetic direction which may have been problematic for some christians, but that way seems more consistent to me with the adoptionism. Does it make any sense for the gospel we have now to be a compromise between adoptionists and corporealists (anti-docetists), or maybe even that the empty tomb is a secondary addition to the original gospel? Being a layman I'll try to avoid assuming the mindset of turn of the millennium Christians, so I won't provide my own speculation on this but perhaps someone here more knowledgeable than I could help out. Bernard Muller, who has posted here before, thinks that the empty tomb is an addition to the crucifixion story, which originally ended at 15.39: http://historical-jesus.info/79.html. 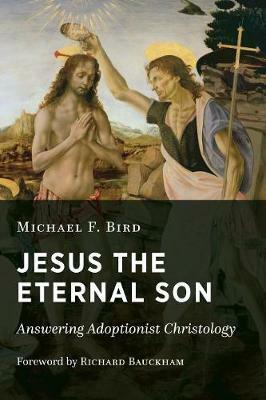 E. Bruce Brooks takes a somewhat different approach, but also thinks that the empty tomb is an addition: https://www.umass.edu/wsp/publications/ ... ection.pdf. John Dominic Crossan has a similar take on it, but for reasons having to do with his hypothesized "Cross Gospel" and Secret Mark. ^The article by E. Bruce Brooks is an eye opener for sure. Thanks for sharing, Ben. If the spirit of Christ left the body of Jesus as he died on the cross then why would his body disappear from the tomb later before the resurrection appearances? I don't see contradiction between an abandoned Jesus and a risen Jesus. We are said from more sources about the separationists/adoptionists (in primis Cerinthus) that they considered the human recipient (possessed and abandoned and later risen by the divine Christ) as a man extremely righteous and obedient to Torah. This insistence on the moral virtues of the man Jesus was necessary against the Ophites, who at contrary despised the man Jesus as a degrading heresy (see evidence of this in Celsus). So this is another reason to consider Mark as a first reaction against purely docetic Christianity (another reason being this). Out own Peter Kirby is cited in that! Our own Peter Kirby is cited in that! If his article was published in 2002 it must have been written in something like 2000. That's 18 years ago. He doesn't even look 38 now. But still, he was 20 when he wrote that? Jesus' spirit disappeared for three days but not his body. Once again, a strong hint of Enochic Judaism. After three days and three nights of his dead body still being in the tomb, his spirit was reunited with his dead body and resurrected. Meaning his body never disappeared it was resurrected/transformed and released from the tomb by angels. There are no accounts (as far as I know) of the body of Jesus disappearing and when people came back to verify the disappearance only to find his corpse was still on the slab. Can anyone pull up Peter's paper "The Case Against the Empty Tomb", I would like to see that. Yehezkel Kaifmann's work of scholarship, 'The Religion of Israel,' was a fundamental critique of Wellhausen's arguments on the evolution of the Bible and the religion of Israel. This is an abridged version of the original 8 volumes. life of a dead man . Last edited by iskander on Thu Jul 26, 2018 3:28 pm, edited 2 times in total. While we're on the topic, has anyone read this? I have a general distrust and dislike of borderline fundamentalist scholars like Bird, Richard Bauckham, N.T. Wright, etc., however I always find it worth reading their material as they at least attempt to engage with 'mainstream secular' scholarship.